Lydia is a mountaineer and Mountain Guide living by the side of Lake Hawea, near Wanaka, NZ, with her partner Dean Staples and a cat called Koshka. In 1988 Lydia became the first woman in the world to climb Mt Everest without supplementary oxygen. To date she is the only New Zealander to have climbed Everest without oxygen, and has climbed Everest 5 times. Lydia holds a BHSc (Physiotherapy), a certificate in Acupuncture, the Canadian Level 2 “Avalanche Forecasting”, and is an IFMGA International Mountain & Ski Guide. 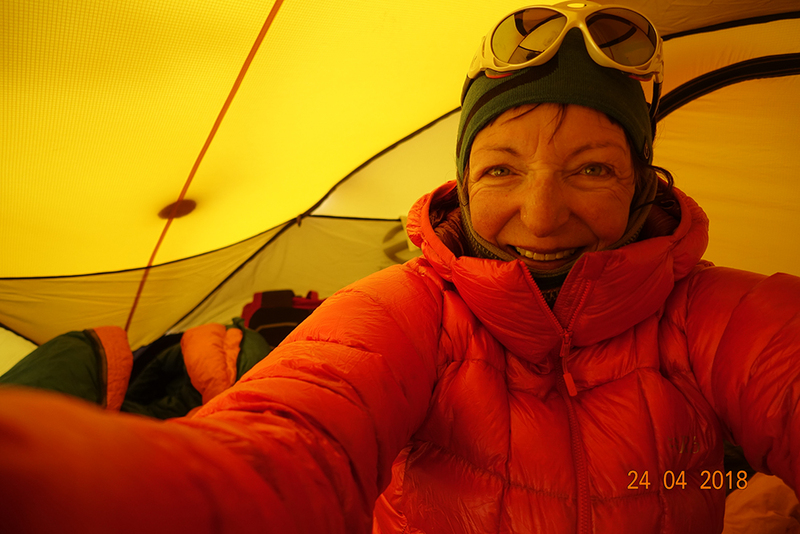 Lydia splits her work schedule between mountain guiding and professional speaking. 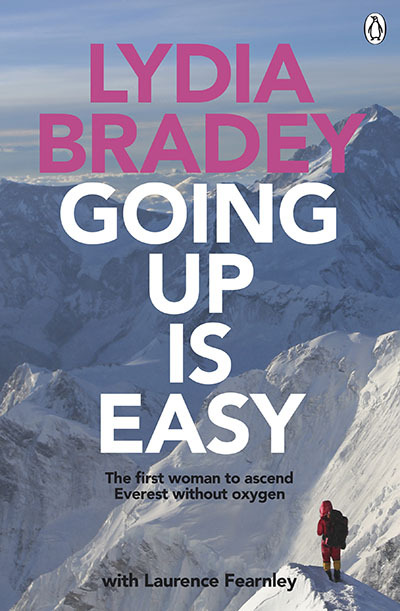 In 2015, Lydia released a book “Lydia Bradey: Going Up Is Easy” with Laurence Fearnley (Penguin/ Random House), about her first female oxygen-free ascent of Everest, adventures and climbs. Lydia is passionate about inspiring people to be resilient, motivated and self-advocating, and to see the humour in life’s events. The first woman in the world to climb Everest without Oxygen (1988), Lydia went on her first Himalayan expedition in 1984. In 1987 she was probably the first woman in the world to climb an “8000er”, alpine-style (one push, bottom to summit) and without oxygen. In the early ‘80s (1981-82) Lydia spent nine months of her life in Yosemite Valley, California, then the world Mecca for “Aid” rock-climbing. She climbed 10 “Big Walls” – huge rock cliffs, each taking up to 9 days to climb; making 7 first female ascents. 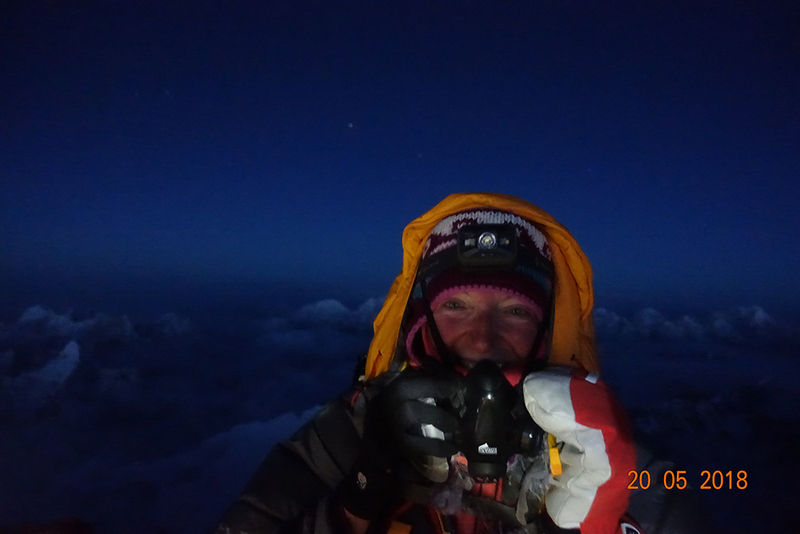 Lydia continues to climb for personal reward, and has been on more than 25 expeditions to peaks over 6000m. She has climbed and ski toured in Europe, Kashmir and Kyrgyzstan, and has made first ascents of mountains in Pakistan, China and on the Antarctic Peninsula. 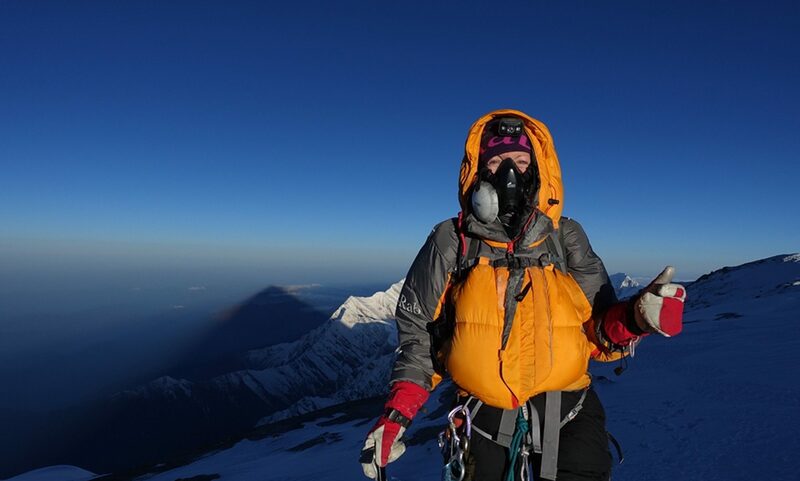 In 2017, Lydia was one of three Kiwis to make the first NZ ascent of the world’s 7th highest mountain, Dhaulagiri, 8157m, Nepal. 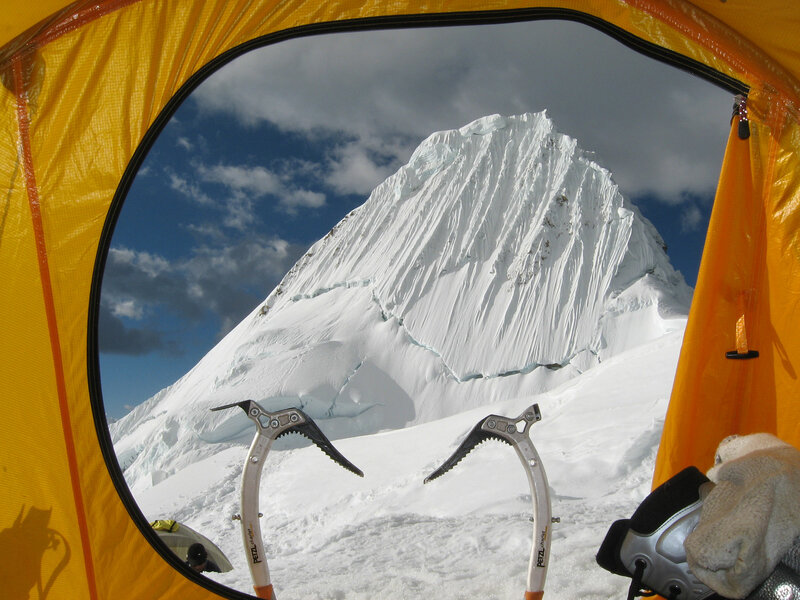 Lydia is an IFMGA Mountain & Ski Guide, and is the only woman to have successfully guided Everest 4 times. 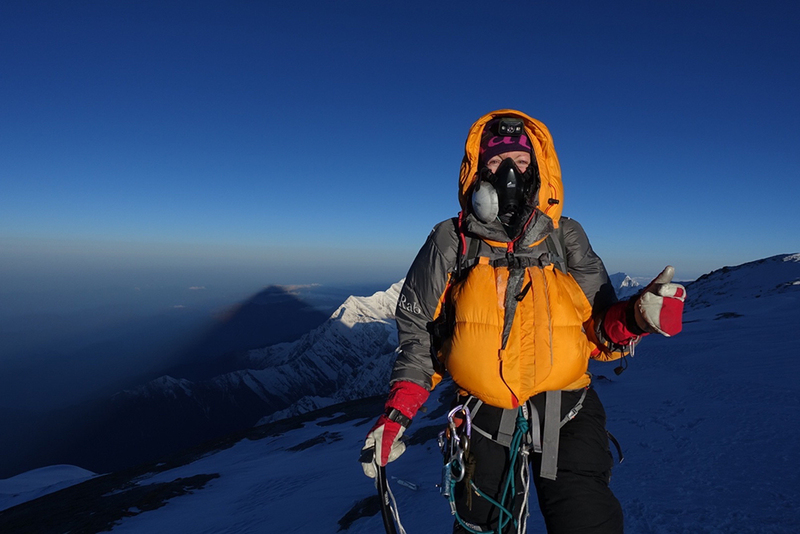 Aside from Everest, Lydia has guided Ama Dablam 6828m 3 times and Cho-Oyu, 8201m twice, both in Nepal, Alpamayo in Peru, Aconcagua in Argentina, Peak Lenin 7134m in Kyrgyzstan, and the highest peaks in Mongolia multiple times. She has ski-tour guided in northern Kashmir, and ski guided the Last Degree (111km) to the South Pole. 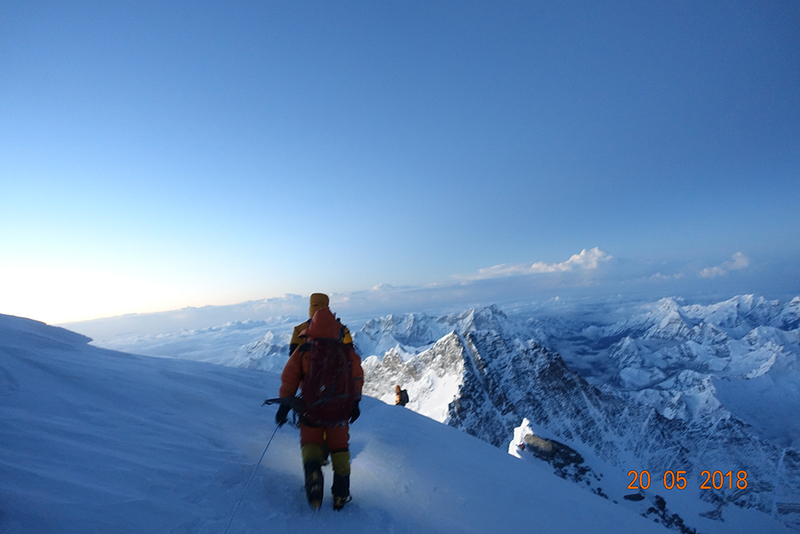 Her guiding speciality is high altitude, remote and extreme environment climbing and guiding. She is particularly interested in the physiology of climbing at altitude and how to maximise her client’s performance at altitude. 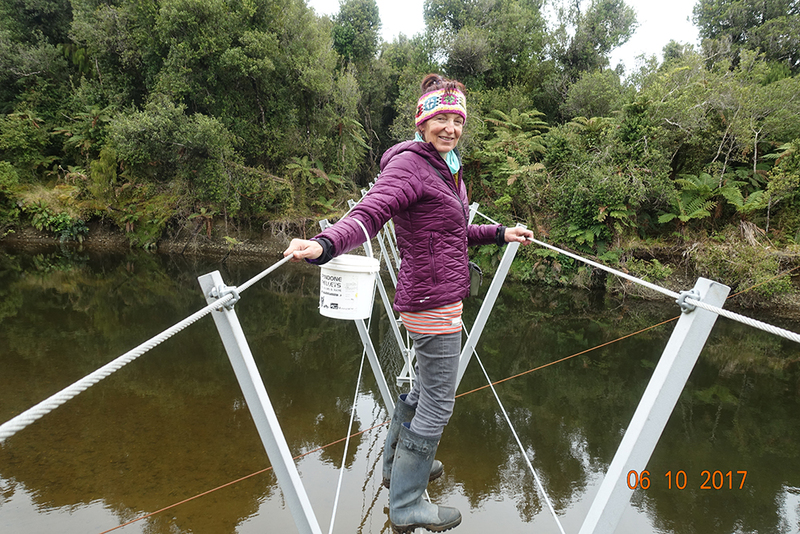 From a background of being the worst in sports at school and avoiding all sports-days, Lydia has developed a profession of excellence based in extreme physical environments. In her inspiring presentations Lydia is able to share the personal journey of overcoming insecurity, fear and discomfort to achieve outstanding successes and personal satisfaction. Passionate about the maximising the processes involved in big projects such as climbing Everest, Lydia believes qualities such as resilience, grit, and self belief in overcoming challenges are concepts as equally at home in the office as on the rock face. Lydia delivers her message with lively humour and some gripping anecdotes in a way to which the audience can relate, be entertained, yet come away thinking. 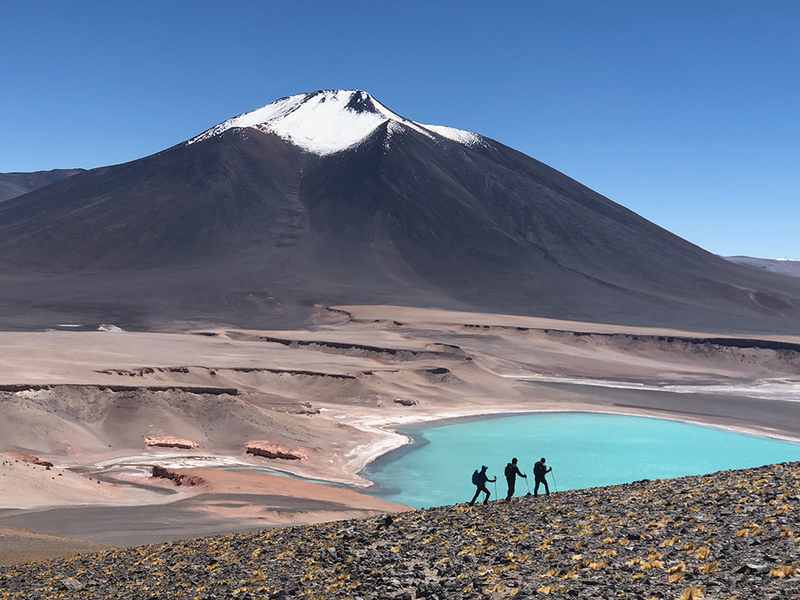 “As someone who has climbed and ski toured with many outstanding guides in the US and New Zealand, I can say that Lydia stands in a league of her own. 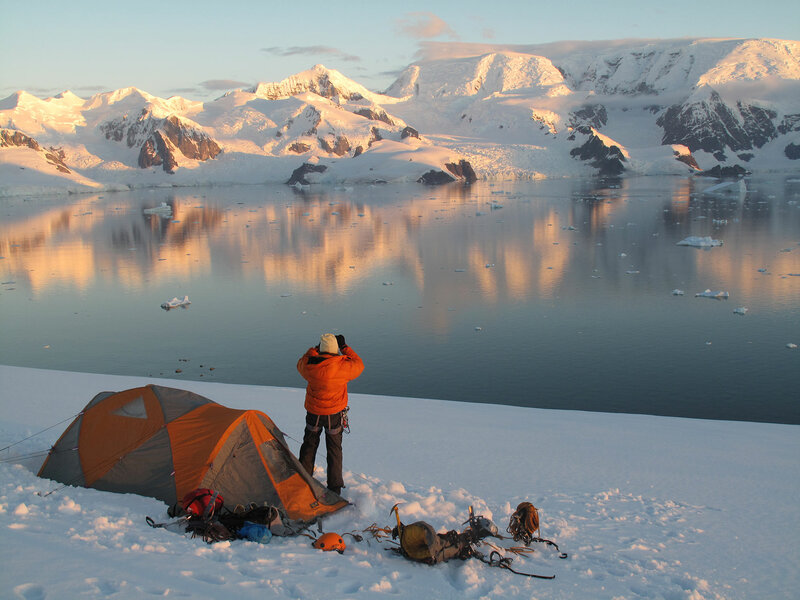 Her decades’ long experience in various high-altitude and extreme environments gives her the type of knowledge and authority that’s rare to come by. 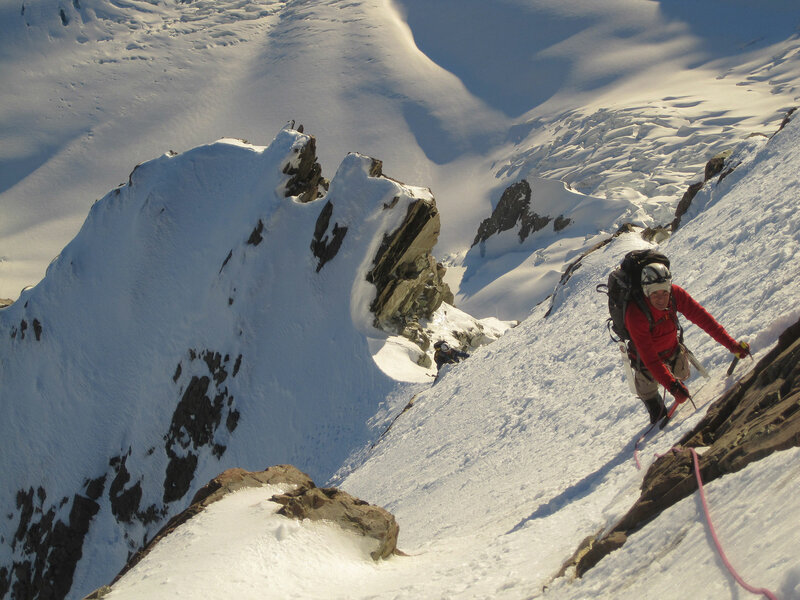 As a climber and ski tourer, I was eager to absorb and learn from Lydia as much as possible. 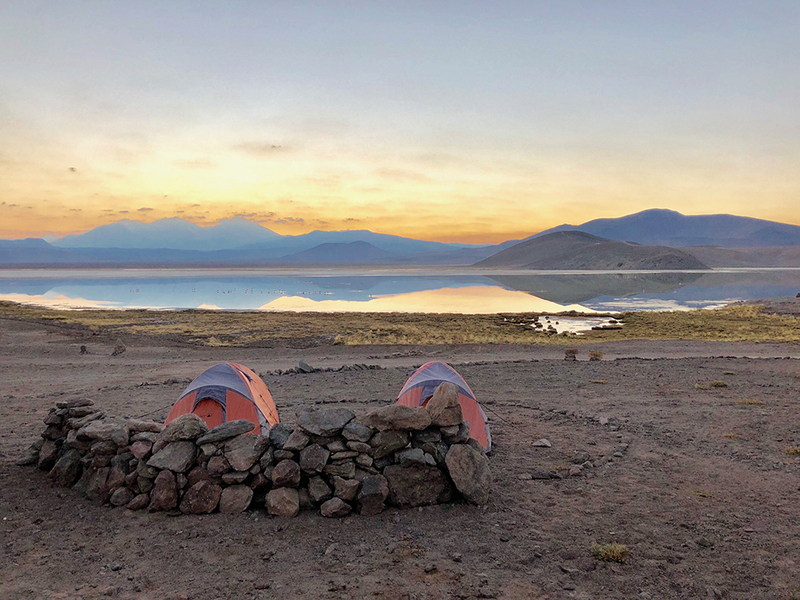 Spending time in the mountain with her taught me a lot about systematically managing all aspects of expedition life, taking care of myself, being prepared for all kinds of emergencies and making decisions in unforgiving environments. 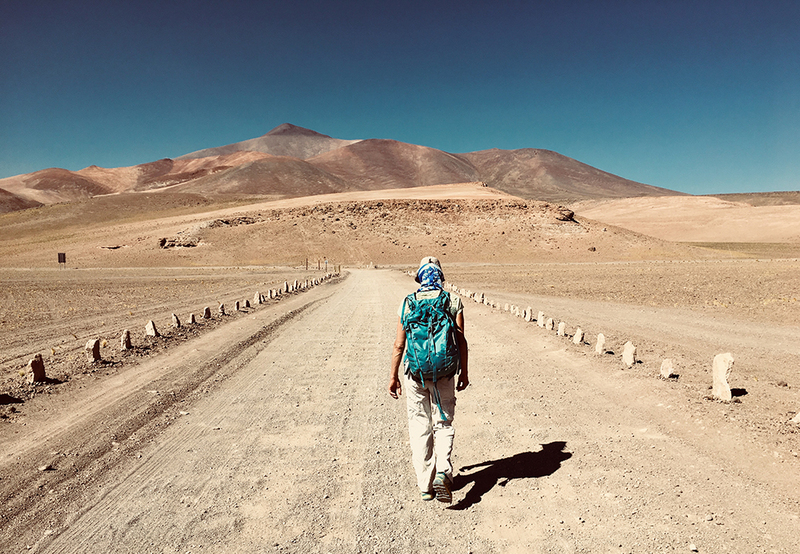 “I approached Lydia when I decided to climb Mt Cook for my 50th birthday, after hearing her interviewed on Radio NZ and thinking ‘she’s the guide for me’. I had climbed before, but had some previous confidence denting experiences, and had no-one to climb with. I didn’t want to be ‘dragged up’, but be an active part of a climbing team, with the support of a guides expertise. My focus was on the experience more than the summit. Lydia soon sussed me out and met my expectations. It was great for me to have a skilled female guide; but more than that we had fun! Lydia pushed me just enough, while keeping me safe, and also allowed me to feel I was contributing to the climb and the team work. I learned new skills, ate awesome meals, laughed till I nearly fell over, talked endlessly and generally had the time of my life. 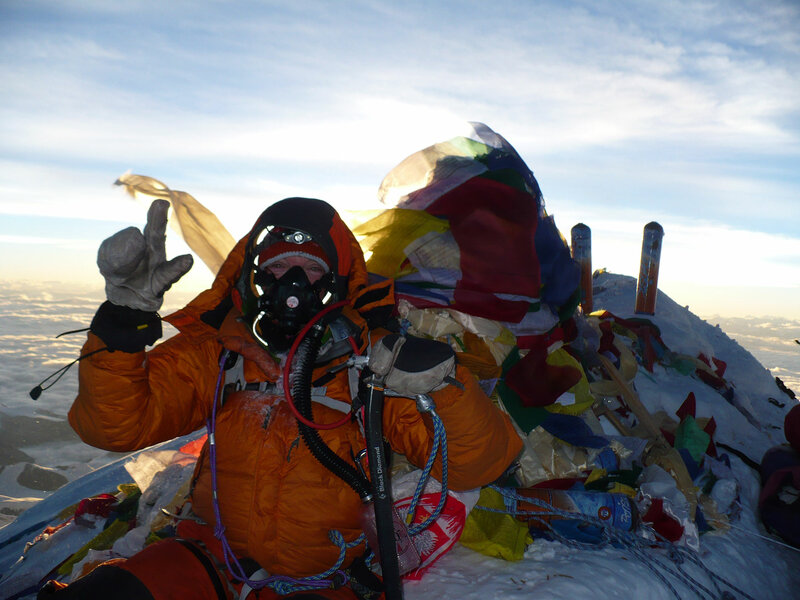 I’ll never forget the feeling of reaching the summit; the beauty, achievement, joy and grace of the moment. …”we just had a to write to say a HUGE personal thank you from both of us. We had the time of our lives and you helped us to achieve a goal that at times didn’t seem possible for us to achieve together. You were strong, supportive, encouraging and fantastic with the First Aid Kit.